Daylilies come in many colors. This one is particularly lovely with its rosy petals. 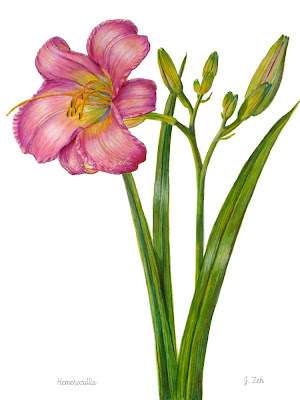 Pink Daylily Botanical print comes in several sizes and print options. Click the Order Print button below for sizes, options and prices.